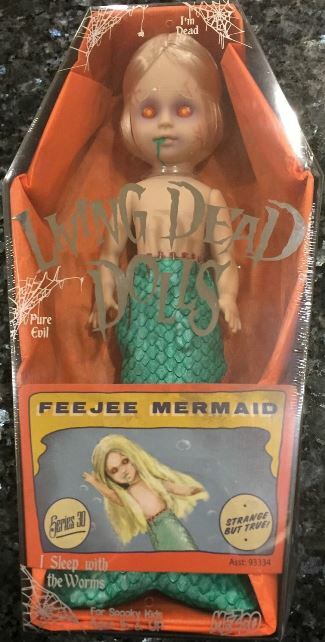 Living Dead Dolls Series 30 Freakshow Sideshow FeeJee Mermaid  - $36.99 : Mystic Crypt, the most unique, hard to find items at ghoulishly great prices! Lydia the Lobster Girl- The freakish offspring of man and lobster. 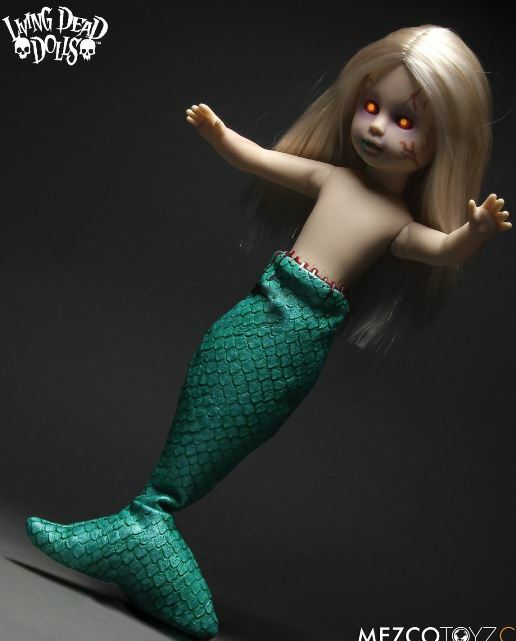 The FeeJee Mermaid- The captured queen of the sea. Edgrr- The two faced goul of horrible misfortune. Lucy the Geek- The metal teeth, chicken feasting freak. Madame- A hook armed freak of nature. All of them presented here, alive yet dead in defiance of the laws of man and nature, all in one tent! 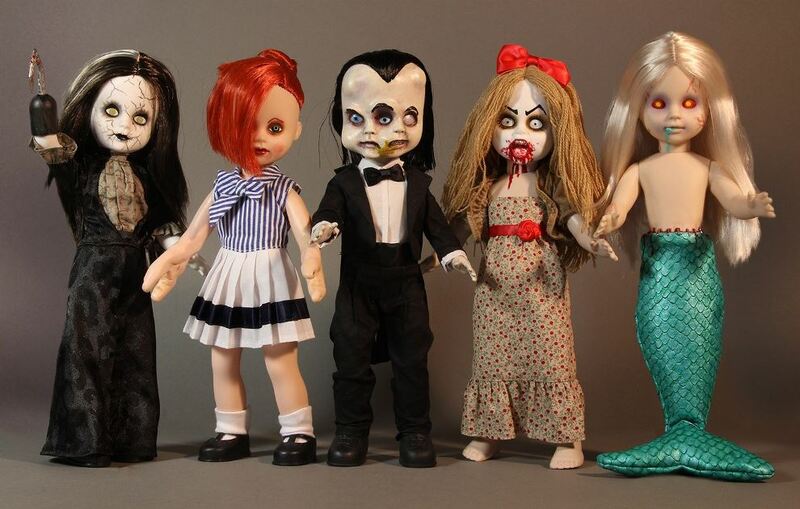 Each Living Dead Doll features real cloth clothing and has 5 points of articulation. Each is individually interred in their own coffin and comes complete with personalized death certificate. Each doll comes in a black sealed coffin with orange tissue paper lining the coffin. The coffin measures 12 inches length, 6 inches width, and 4 inches depth. Each doll is sold separately. Each individually packaged in their own coffin…for now. 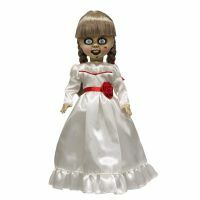 *See Second Picture below for the doll inside it's box, and full group pic.